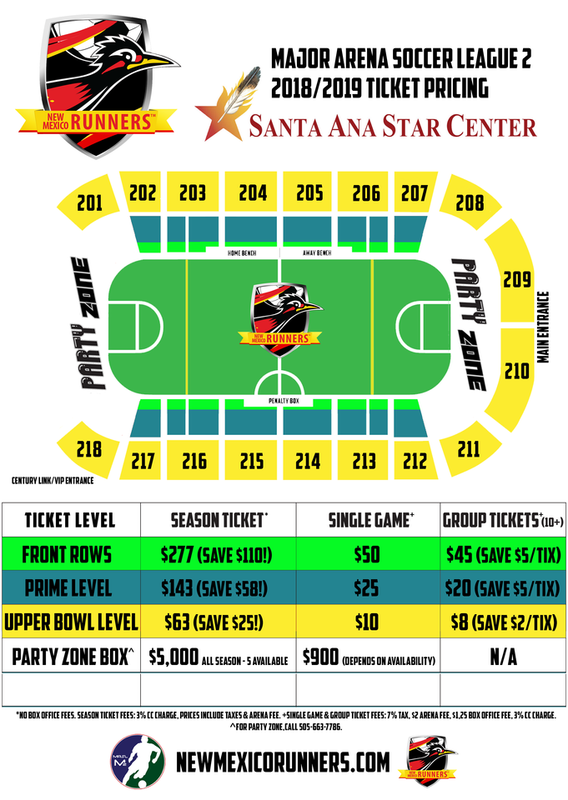 season 2 SINGLE GAME TICKETS on sale october 2019! Children 5 years old and under are free. Must claim child's ticket at the box office. *Single Game & Group Ticket fees: 7.68% tax, $2 arena fee, $1.25 Box office fee. Santa Ana Star Center convenience fees apply for online purchases.